Phonographic Copyright (p) – ACR Ltd. Copyright (c) – ACR Ltd. Written and produced for Soundstation Productions. A1,A2: Remix and additional production for M-People Productions. 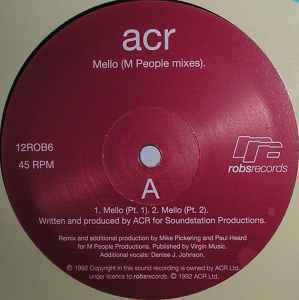 ℗ 1992 Copyright in this sound recording is owned by ACR Ltd. under licence to robsrecords.